Back to the French Riviera once again. The turquoise Mediterranean, the clear blue sky and the bright sun is what attracts us every year to the Cote d'Azur. Last year it was the country side around Nice and this time we chose the country side around Cannes. Sea side towns line the Mediterranean like pearls in the necklace in this part of the Riviera. French Riviera roughly extends from Toulon in the west up to the Italian border in the east with important cities such as Hyeres, St-Tropez, St-Raphael, Cannes, Nice and also includes the Principality of Monaco. 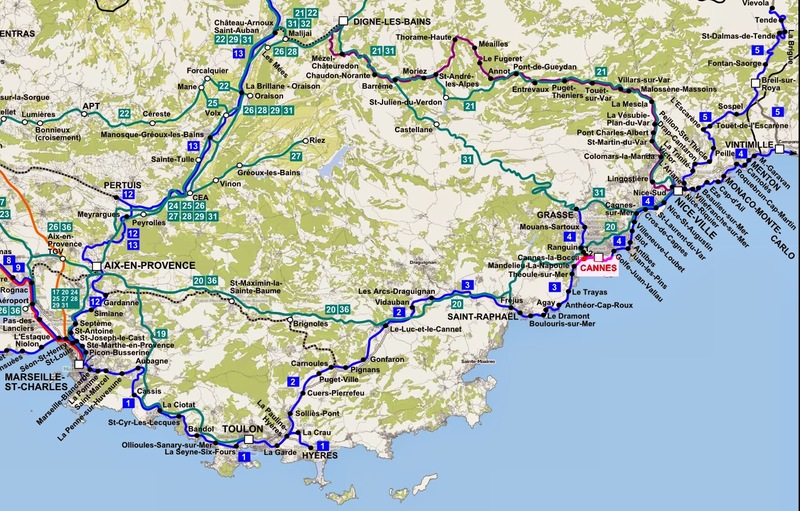 The area is well connected by train run by the regional rail network TER Provence-Alpes-Côte d'Azur, which roughly runs along the sea between St-Raphael and the Italian border. We decided to stay in Cannes for 4 nights from 31st July to 4th August. The TGV tickets from Paris can soar up during summer which is the preferred season for tourist visiting this area and for that matter all over France. However thanks to a SNCF offer, we were lucky enough to make the round trip in the first class at €90 per person from Paris to Cannes, though we must mention that we booked our tickets almost 3 months in advance. The TGV from Paris to Cannes takes roughly 6 hours and the rocky countryside of south France is something that never fails to charm, no matter how many numerous times one may have made the same journey. The 4 days flew by as we explored Cannes and the little unique towns and islands around the city. Deriving the name from "canna", a reed, Canua was probably the site of a small Ligurian port, and later a Roman outpost. Around 1530, Cannes detached from the monks who had controlled the city for hundreds of years and became independent. In early 19th century, Henry Brougham, an English statesman bought land near the present city and constructed the villa Eleonore-Louise, the first villa of rich aristocrats (called villégiature) in the region. Towards the end of the century Cannes found a new face among the rich winter clientele with several railways and streetcars arriving to the city. 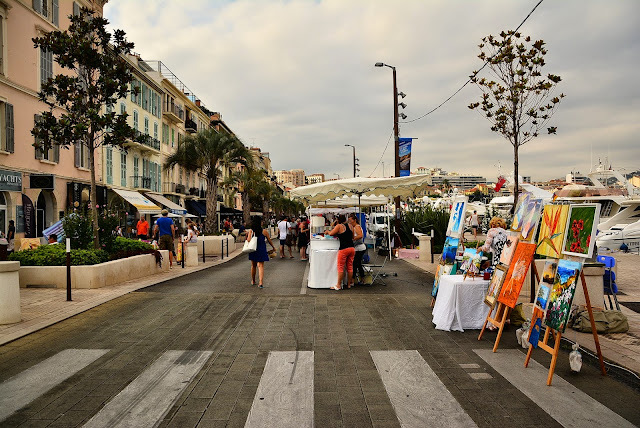 Projects such as the Boulevard Carnot, the rue d'Antibes and the Carlton Hotel on the Promenade de la Croisette were carried out. With the 20th century came new luxury hotels such as the Miramar and the Martinez. Winter tourism gave way to summer tourism and the summer casino at the Palm Beach was constructed. And this what we find in Cannes today, luxury residences bordering the sea front, a narrow beach crowded with expensive beach shacks and the Boulevard de la Croisette running along the beach lined with all the expensive brands the world has produced in the last century. While in Cannes one can enjoy a leisure walk along the Promenade de la Croisette lined with palm trees. The turquoise Mediterranean on one side and the luxury hotels on the other can give a rich feeling even if one is not ready to empty ones pockets. 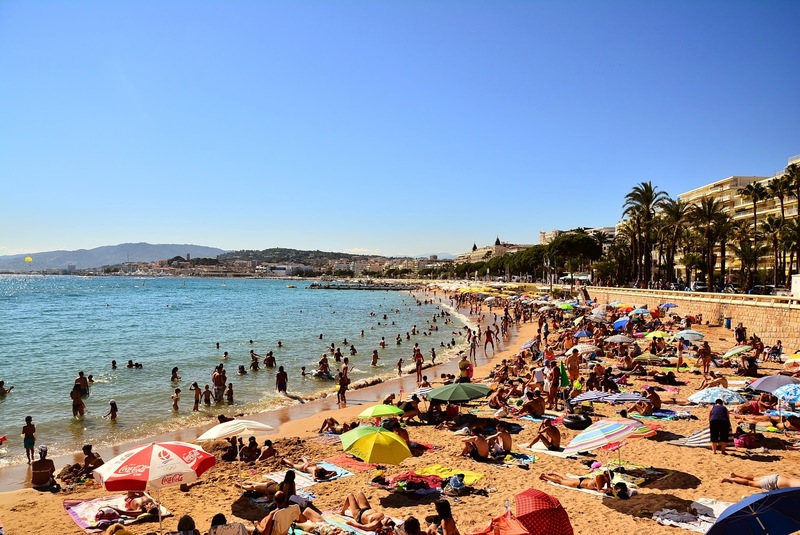 The beach in Cannes is however too small and you have to be really lucky to find your own little place on it in the summer months. The best view of Cannes is however from the old town Le Suquet, perched on the cliff towards the west end of the Promenade de la Croisette. Climbing the winding cobbled lane lined with local restaurants can give a real romantic feel of the French Riviera. This is where the fishermen from Cannes lived in earlier ages and the houses and narrow alleys are as old as the 16th century. 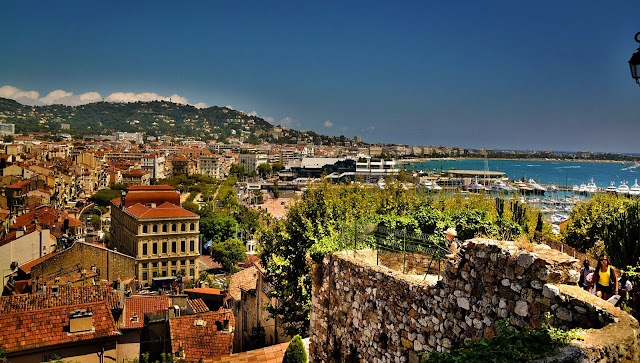 On the top can be found the cathedral of Notre-Dame-de-l'Espérance, a fortified tower and chapel of St. Anne overlooking the waterfront of Cannes. After sunset Cannes is even more attractive. Every Friday the is a night market on the western end of the old port during the summer months. Here one can find different handmade ornaments, fashion accessories and pieces of art made by the locals. 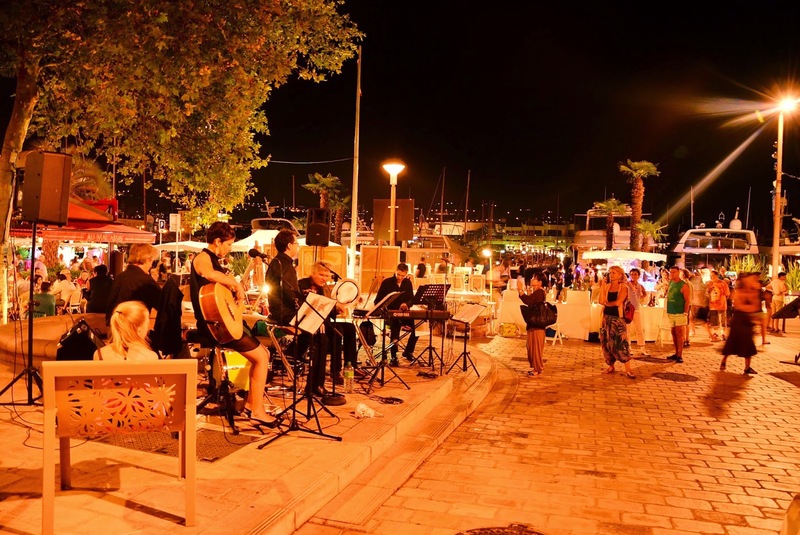 After dinner we walked into a bar on the waterfront and it is usual to find live bands playing in them. Listening to 'Knockin on Heavens doors' while sipping on a champagne cocktail on the edge of the Mediterranean was probably the icing on our stay in Cannes. And ofcourse after the drink we walked on the relatively empty beach, got sand in our shoes, washed off the feet in the sea and walked through the city bare feet, back to the hotel. Yes, that's how we will remember Cannes. 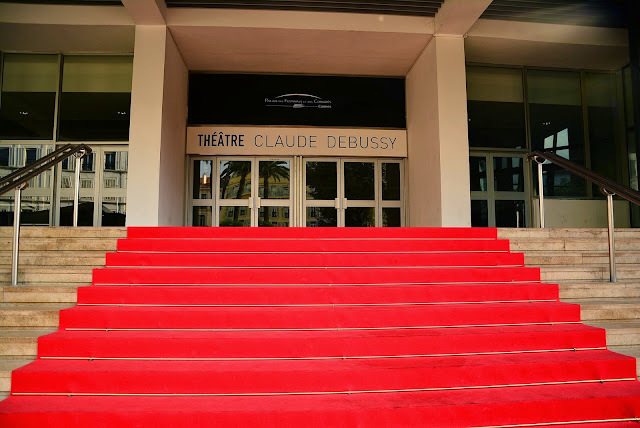 Cannes is however best known around the world for the International Film Festival held every May at the Palais des Festivals et des Congrès since 1949. One can find a museum dedicated to the festival and the boulevards around the building marked with handprints of the famous names of the film world. There are 4 islands off the coast of Cannes. In fact the city of Cannes was expanded during the medieval ages because of its strategic location close to these islands. The two largest islands are the Île Sainte-Marguerite and the Île Saint-Honorat. Ile Sainte-Marguerite can be reached from Cannes by boat. We took the boat around midday from Quai Max Laubeuf which is towards the west end of the port of Cannes. It takes 15 minutes and €13 round trip, to reach the peaceful retreat off the hustle bustle of the famed city of Cannes. The color of the Mediterranean is even more dazzling when it rolls over the shallow beaches and the algae blooms around the island. The island is 3km long and 900m wide. 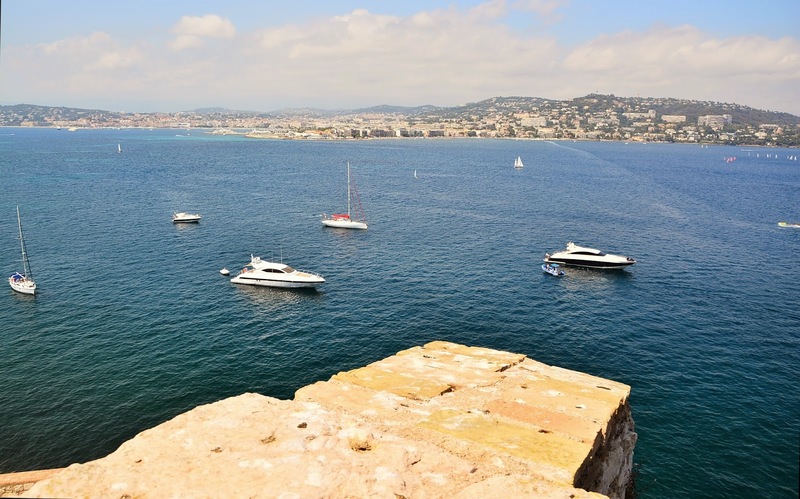 We walked around from one end of the island to the other enjoying the peaceful rolling of the waves, the seagulls and the climbing of steep cliffs and the breathtaking views from there of the sea and the distant cityscape of Cannes. Apart from just being a picturesque gateway, this island also holds history and legend in the form of a 17th century fort, the Fort Royal. 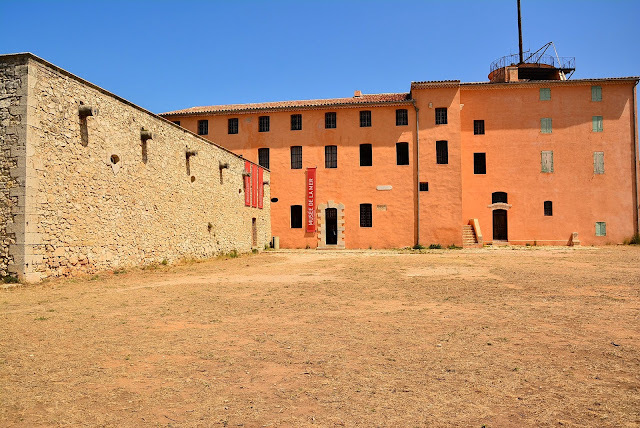 It was converted into a state prison in late 17th century and it held a mysterious prisoner whose identity remains unknown, the Man in the Iron Mask. His story was the basis of numerous novels and writings, the famous among them being those of Voltaire and Alexandre Dumas. The fort and the prison can be visited and we were astonished and a bit touched to find lovely paintings adorning the walls of the cells which were painted by the inmates. The fort also holds a marine museum which houses ancient relics fished out of the sea around the island. The island has two restaurants and we dined at the one close to the port. The only beach of the island lies west of the port, however the edge of the island with rocky coast and cliffs is worth a visit. 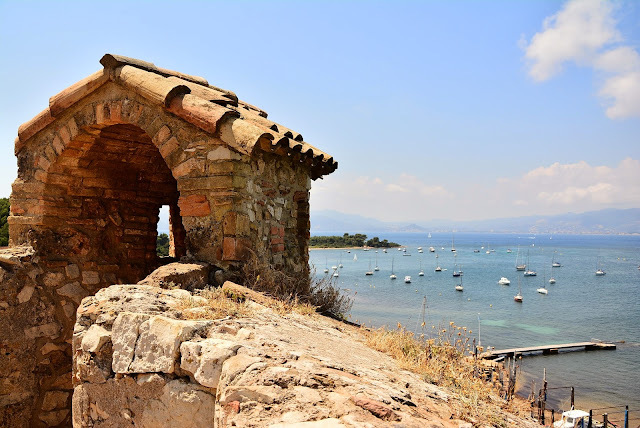 South of Île Sainte-Marguerite is the Île Saint-Honorat which can also be visited by boat, but unfortunately only from Cannes and the two islands are not inter-connected. The island Île Saint-Honorat has been home to monks since the fifth century. The island presently holds a 15th century fortified monastery and the Abbey of Lérins. We however omitted visiting this island to enjoy Cannes and its surroundings.